Sergio Paez says Arizona's immigration law has hurt his tortilla business. (CNN) - The past few years haven’t been the best for a man trying to make an honest living selling tortillas in Arizona. Business owner Sergio Paez estimates that he has lost 20 businesses as customers in the past three years, from small neighborhood taquerias to chain restaurants. 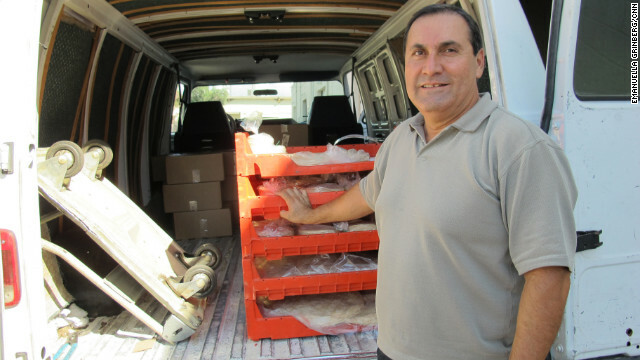 In 2010, his tortilla business was suffering thanks to the nationwide recession. Then Arizona Gov. Jan Brewer signed into law the state's controversial immigration enforcement policy known as SB 1070, and things got even worse, he said. “The law affected the immigrant population dramatically,” said Paez, a naturalized citizen from Mexico whose Phoenix-area factory produces about 200 dozen tortillas an hour. With oral arguments before the U.S. Supreme Court this week for the Obama administration’s constitutional challenge to the law, the outcome will have far-reaching implications for Arizona and other states that have implemented similar policies since 2010. You have to be an american citizen to vote. If you are a citizen, regardless of your heritage, go to the DMV with 25$ and get a nondriver ID. Whats so hard about this? Put up or shut up! If all of you bleeding heart liberals would adopt a mexican family they could move back to mexico and YOU can send half of your income to them so we won't have to break up their families. They'll be happy you'll be happy and those of us that don't want to support them will be happy. Problem solved. You don't support anybody, most of them work harder day-to-day than you probably ever had the nads to. Although I'm entirely against illegal immigration, I'm sick of all the tinhorns blubbering and whining about how they have to pay the way for minorities, especially when a lot of you would soil your pants just standing on the steelwork that I had to work 6 days a week for years. Bunch of indolent, whining fools.